When a gold and copper mine collapses, it traps 33 miners underground for 69 days. A real-life disaster becomes the basis for 2015’s The 33. Set in Chile circa 2010, we go to the San Jose Mine. Despite warnings of stability problems from shift foreman Luis Urzúa (Lou Diamond Phillips), mine owner Carlos Castillo (Mario Zaragoza) continues to send his workers to dig out gold and copper. On August 10, 2010, catastrophe strikes. The mine collapses and traps all 33 workers. We follow their ordeal and attempts to rescue them. Given the recent nature of the film’s events, most of us will have some familiarity with the disaster depicted in The 33. Of course, this means we know how it’ll end, so the film comes with limited room to surprise us. That didn’t harm Titanic or Apollo 13, though. As such, I went into the film with hopes that it’d bring us enough depth to overcome any negatives attached to the “predictable” finale. Like those other films, The 33 needs to invest the viewers in its characters. Unfortunately, it sputters in that regard, as it fails to develop any of the participants into especially interesting personalities. Despite the real-life drama at work, The 33 plays like a slam-bang disaster movie. 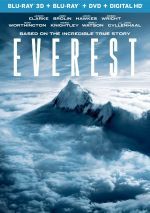 Rather than adopt a more serious tone ala 2015’s Everest - another tale of real-life catastrophe - The 33 leans toward big, broad action. This makes it oddly similar to “tentpole” films such as 2015’s San Andreas. While I enjoy that sort of over the top experience when appropriate, it seems like a bad fit for The 33, mainly due to the film’s factual nature. It simply feels unseemly to give a truly life or death drama such a glib feel. This seems especially true during the mine collapse sequence. 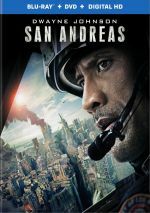 What should come across as scary and harrowing instead resembles the kind of goofy action seen in stuff like San Andreas. Partly due to an oddly jaunty score, the sequence lacks heft and fails to convey the danger. Much of the rest of the film tends toward melodrama. It leans toward broad, superficial portrayals of the participants and never manages much impact. Rather than convey the depth it needs to invest us in a story whose ending we know, it keeps things thin and fails to give us much emotion. That seems like the biggest surprise, as the inherent story boasts so much potential for drama. As I mentioned, the “foregone conclusion” nature of Apollo 13 wasn’t an issue – that film’s ending was as tense as could be – but The 33 fails to milk any suspense. When it pushes in that direction, it seems toothless, as we don’t ever sense any real danger. The 33 seems too conventional for its own good. It alternates among the miners, the families and the rescue efforts in nearly equal measures, and those choices seem trite. A movie that remained wholly underground from the miners’ point of view – ala the way Gravity kept us in space – would’ve been a more interesting and potentially harrowing choice. But The 33 feels like a very safe film. It takes no chances, and ultimately, that means it achieves little impact. I’m not sure how a story with such obvious drama can seem so dull, but The 33 fails to pack a punch. The 33 appears in an aspect ratio of approximately 2.40:1 on this Blu-ray Disc. This became an appealing presentation. Sharpness was mostly good. A smidgen of softness occasionally popped up in some wider elements, but the majority of the movie seemed pretty concise. I noticed no shimmering or jagged edges, and I saw no edge haloes. Print flaws also failed to mar the image. Given the setting, the movie usually opted for a sandy/amber feel. Some teal also appeared, and the hues seemed fine given the film’s visual goals. Blacks looked deep and full, and low-light shots presented nice clarity. The transfer consistently worked well. I also felt pleased with the film’s DTS-HD MA 5.1. Though much of the movie opted for restrained material, it came to life well when necessary. That mostly meant elements related to the mine, of course. The collapse provided a dynamic auditory experience, and drilling added impact as well. Other sequences seemed less stimulating, but they still created a pretty good sense of environment. Audio quality satisfied. Speech was natural and distinctive, while the mostly low-key score showed solid range and clarity. Effects appeared accurate and dynamic, with good punch when necessary. In the end, the soundtrack brought range and punch to the proceedings. Two featurettes appear here. The Mine Collapse runs three minutes, 54 seconds and offers comments from director Patricia Riggen, visual effects supervisor Alex Henning, production designer Marco Niro, director of photography Checco Varese, and actors Lou Diamond Phillips, Juan Pablo Raba, and Antonio Banderas. We get some basics about the film, with an emphasis on the filming of the disaster scene. It’s too short to be more than a perfunctory overview. The World Was Watching goes for three minutes, five seconds and features Riggen, Phillips, Banderas, and actors Cote De Pablo, Kate Del Castillo, Oscar Nunez and Juliette Binoche. “World” offers some character and story notes. It acts as little more than an advertisement. The disc opens with ads for In the Heart of the Sea, Creed, Point Break (2015) and Our Brand Is Crisis. We also get the trailer for The 33. At its heart, The 33 boasts an enormously dramatic story. Unfortunately, the movie tells it in such a trite, cliché manner that it loses much of its natural power. The Blu-ray offers very good picture and audio but lacks substantial supplements. The 33 disappoints.